Ikea is the furniture Goddess (or God) you go to when you need affordable, Scandinavian style furniture. Or, if you’re anything like me, Ikea is the land of decor inspiration and cheap meals. Sadly, Ikea can also be easily passed off as a one stop shop for 3S’s - simple, standard and single use. People are increasingly on the lookout for alternatives to the retail giant, but in my opinion, Ikea still stands out in its sea of competitors. Despite an elevated 3S risk, Ikea products are a great start to building your own, personal aesthetics. Why else do you see people flocking the store on a regular day of the year? University students, first time parents, middle aged couples - this describes a small sample of people you’ll find at Ikea. 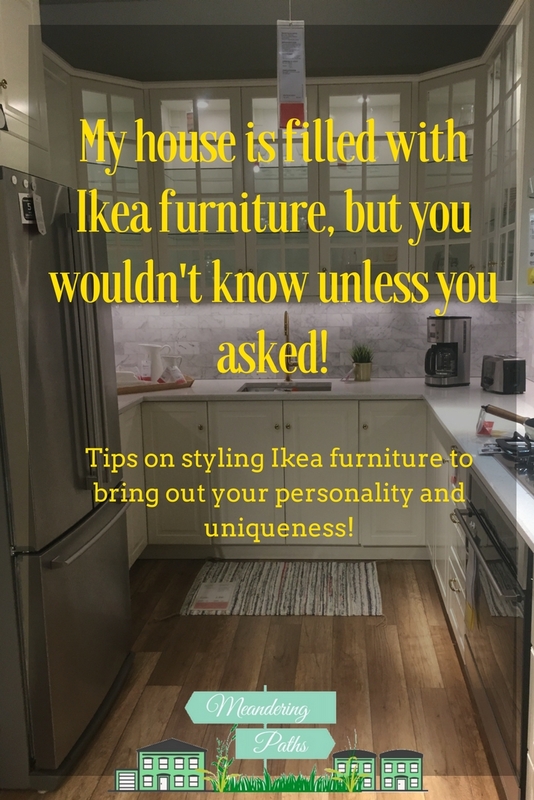 In this post, I’ll be taking you through my journey of decorating with Ikea, and making a house into a home with Ikea furniture. The dreaded 3S’s - deal or no deal? Here’s the spoiler - deal, always deal. The dreaded 3S’s was coined by me, but there’s a ‘conditions apply’ clause that comes into effect here. Ikea is simple, sure. Yet with each new perspective you’ll find, elegance, artistic, or modern feature far more prominently than simplicity in Ikea products. Ikea can be standard, but it doesn’t have to be; no two homes are alike - hence the use of ‘home’. The standard factor stands in the background the minute you care to venture outside the box with your decorating. And finally, ‘single use’ - my mother coined this term as we were shopping for my furniture during my third year of university. Boy, was she wrong! ‘Single use’ is restricted to people with poor maintenance habits; with care,your Ikea furniture won’t be ‘single-use’ pieces. But what makes Ikea stand out? If the 3S brand was universally popular, Ikea wouldn’t stand a chance against stores like Pottery Barn, Williams-Sonoma or Hudson’s Bay. Yet Ikea places on this list posted on The Spruce’s website last year. 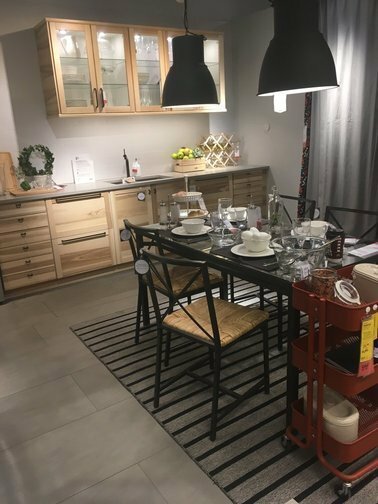 There are several reasons why I think Ikea is still immensely popular : affordability, simplicity and easy care. The biggest reason why Ikea is so popular - they sell affordable furniture. Nothing beats having affordable furniture that you can build on your own without having to pay for delivery or assembly*.From my own research into dining tables, I found that I'd have to shell out an additional $75 for a dining table if I were to look for a non-Ikea brand, and the options weren't to my taste. 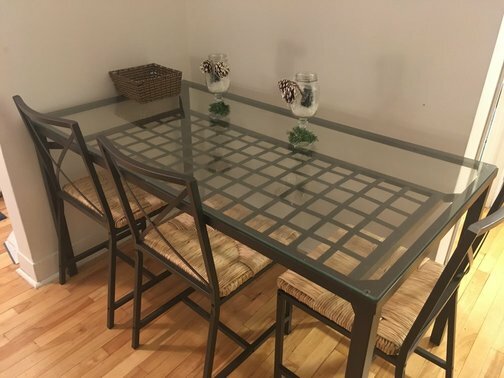 My current dining table set was bought on Ikea's website for $275. This Granås dining table was a pain to assemble, but was definitely worth the effort. Splitting the delivery cost four ways -for the four products in that order- my total comes to $125. My math skills are atrocious, but I can tell you this - I saved a ton of money on my dining table set by shopping at Ikea. 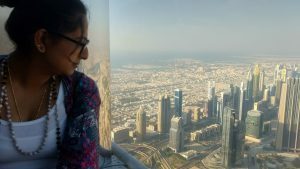 Affordability here is in no way synonymous with cheapness. At Ikea, you get what you pay for, and some more. I think my dining table looks great, and it certainly isn't falling apart. *Delivery and assembly are optional charges that you can choose to include. Thanks to Ikea’s timeless Scandinavian designs, it is fairly simple to mix and match their furniture and accessories. If you like, think of Ikea as your starter lego kit. Build a foundation (old or new) for your home with elements that can be easily grouped with older elements in your possession. Use the home planner tool to design your dream office, kitchen or bathroom if you’re scared of venturing into the land of interior decoration. Prefer symmetry and a clean look? Check out some of their collections - they have quite a few that work wonders in any home. Two Ganesha statues - one made of brass - adds an Indian touch to an otherwise minimalist interior. There’s nothing that says ‘home’ a better way than adding sentimental value around the house. These can be in the form of photos, precious artwork, awards, souvenirs from your travels or family heirlooms. Ikea's simple furniture makes it easy to build on top of basic elements without creating chaotic styles and colours. Create a sense of belonging by using items with a story. 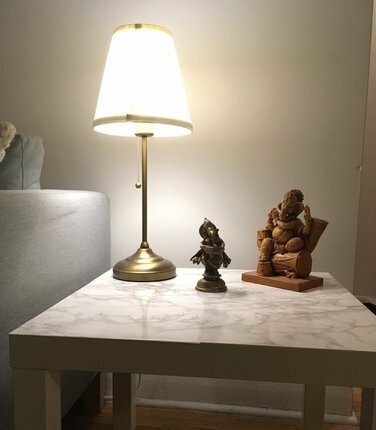 While most of my house is designed with a minimalist approach, I brought in a little Indian design in the form of Ganesha statues to reflect our Indian backgrounds. My parents had these hand carved statues all over the house that they bought during their time in Zambia. A couple years ago, my father brought back a pair of statues for my house. These personal touches add character to my living room and take away the commonality of my furniture. This demo layout may look perfect, but you may not have the space or the right layout to recreate this in your own home. 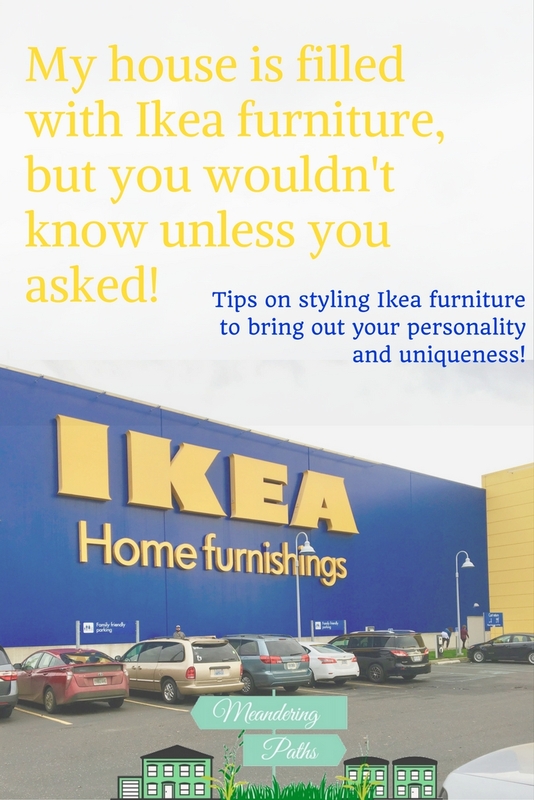 The biggest worry of having too standard (and simple) furniture is designing an interior that is in no way unique.It is very tempting to look at an Ikea catalogue or store layouts for inspiration. Everything looks so glossy and perfect, and you want the same thing at home. Remember however that Ikea only needs to focus on getting the view from one angle right. You’re working on building a 360 degree view that may not allow for Ikea catalogue recreations. Work with your room layouts and wall colours to find the best fit for YOU. It would probably make more aesthetic sense to place my bookshelf next to my sofa, but for practical purposes, I decided to place it next to my TV stand. This way I can access my bookshelf without the worry of banging my toes against the sofa legs. Make smart, practical decisions that work well on a regular basis for you. This will automatically eliminate any chances of people looking at your interiors and comparing it to a demo layout in store with mass produced products. 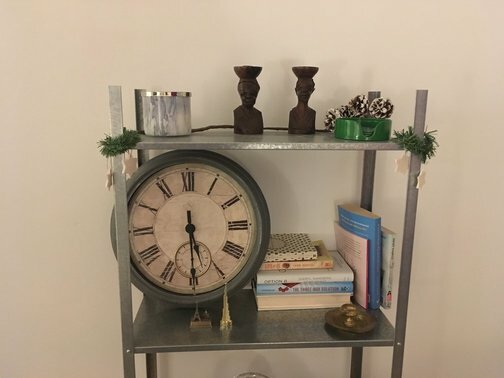 Ikea is the perfect pit stop for decorating on a budget. Cash in on their affordable furniture and turn into a piece of art with DIY projects. You’ll have a great time working on these projects, and you’ll leave your guests asking you all about your hacks! I didn't do the best job with sticking on the contact paper, but I love how it makes such a difference! And finally - DIY Ikea table hack using marble contact sheet. Unfortunately, I cannot find out whose post inspired me to transform my own coffee and side tables in my living room, so I have posted this tutorial instead. I purchased my faux marble contact paper from Amazon (link here). This activity takes a lot of patience and meticulous planning because the contact paper doesn’t sticking easy! I bought this wall clock from Walmart on sale, and the wooden statues were a gift from my father. While it’s not a bad idea to furnish your entire home from an Ikea catalogue, don’t go overboard with your decorating. Space your decorating budget over a few months - years even - and slowly decorate your space with tastefully curated pieces. I decided to liven up a simple, monochromatic living room with products from Winners, Canadian Tire, Stokes and Walmart. 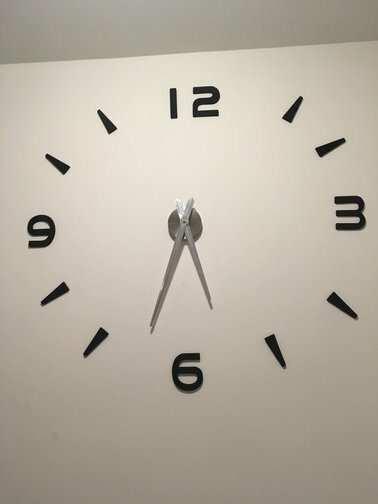 My husband also picked up this diy stick on wall clock from Ali Express. It not only covers a blank wall - I now never pester him about the time while I'm busy in the kitchen! 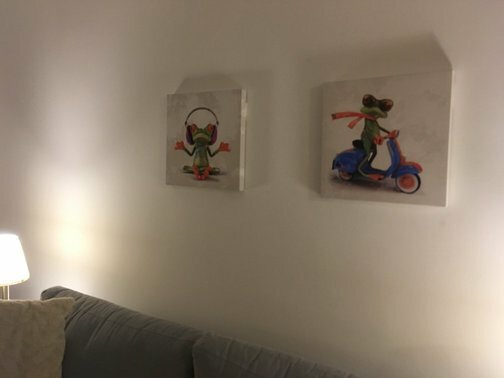 Accent pieces like throws, cushions, wall clocks, figurines or artwork exist in stores other than Ikea, so look around before you settle on purchasing something from Ikea. For instance I decided to shop at my local Winners and Simons for my throws instead of picking one at Ikea. One benefit of spacing out your decorating plans is creating a theme for seasons and holidays. For Christmas, I added holiday decor that complemented the overall style of my living room. After the holidays, I decided to leave some of the more suitable decor lying around to suit the winter season. All I remember from my childhood is moving homes every couple years. While Ikea products are fragile, they're great for moving. How, you ask? We managed to move a 8 year old Ikea bedframe from the UAE to India without a single broken piece. It came down to the packing and careful dismantling of the product. I know, it took you ages to get that wardrobe ready, but if you organize your time and effort, it will be worth it in the end. If you're confident enough that the assembled product will survive the move in one piece, make sure you cover up any exposed surface during the move. More on moving day some other day! My old furniture withstood three apartment moves, appeared timeless and fit right in with different room layouts. The pieces remained in perfect condition, albeit the barely discernible scratches on surfaces. To be fair, that credit should go more to my husband who takes better care of his belongings than I do, but you get my drift. Ikea stays on trend with new releases, but their classics are always equally in demand. With a little effort, you can build your very own style and personality into Ikea products. What's your favourite Ikea story? Have you invested a little extra in sprucing up your furniture from Ikea? Comment down below and share your tips for creating a interior style that beats those 3S's!